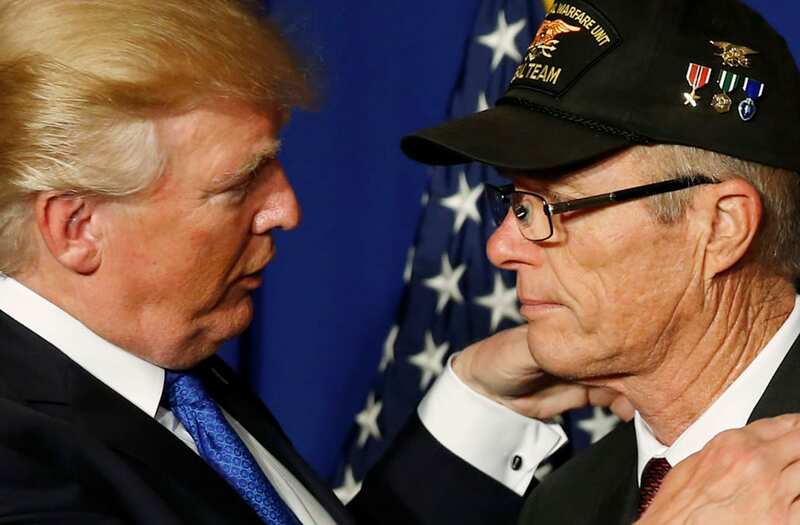 One Vietnam War veteran could not hold his tears back when President Trump honored him and others during his foreign policy trip to Asia. Among the veterans at the event was Max Morgan of Santa Clarita, Calif. Morgan battled emotions as he thanked the president for his support. “From my heart, thank you for your support of the military, and it’s an honor to be here as one of seven Vietnam veterans representing the 58,000 heroes who never made it home,” he said. Trump embraced Morgan in a hug as the veteran teared up on the president’s shoulder.